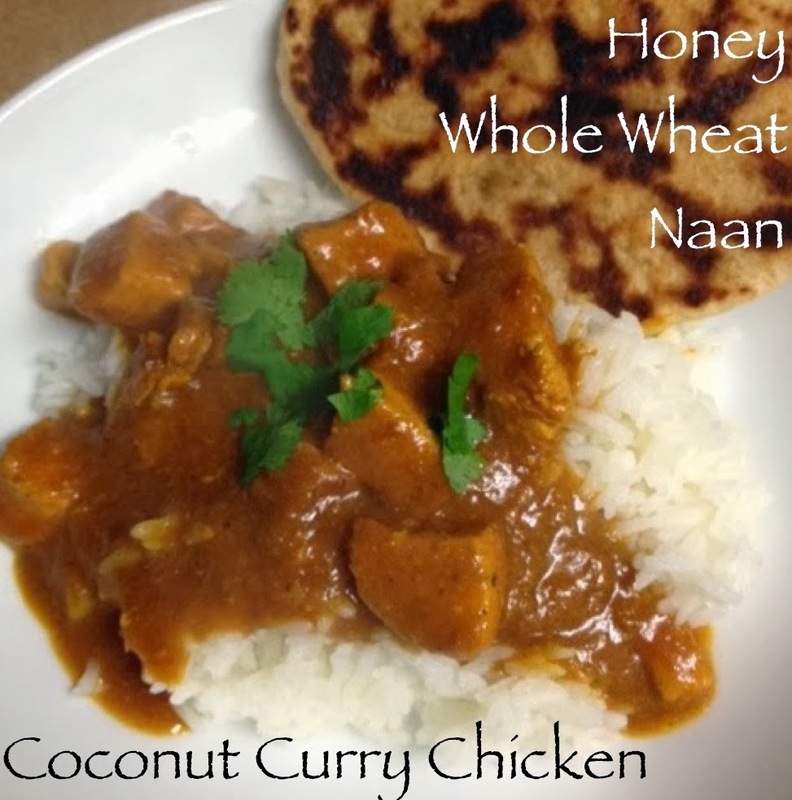 Just made one of my very favorite slow cooker meals and had to share it… Coconut Curry Chicken! This is the first curry recipe I’ve ever tried, but I absolutely love it and it is now a regular meal in our household! 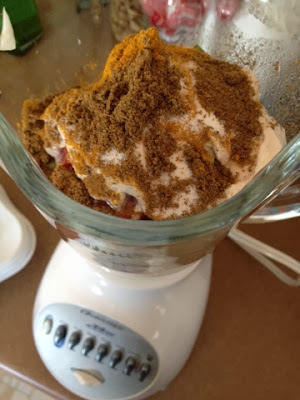 I uses three ingredients that I try to keep on hand for making this dish in particular: Curry Powder, Garam Masala, and Coconut Milk. Beside the amazing flavor of this dish, I love it because it’s so easy to put together. 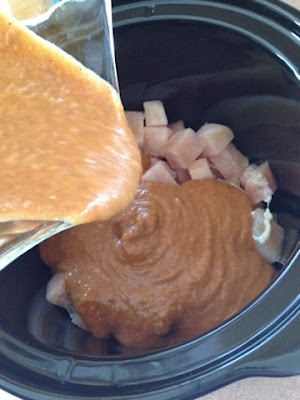 All ingredients for the sauce get thrown into a blender and poured over chicken in a crock pot. Then set it and forget it! *Warning: Your house will smell fantastic all day. If you’re not ok with that, then do not proceed! 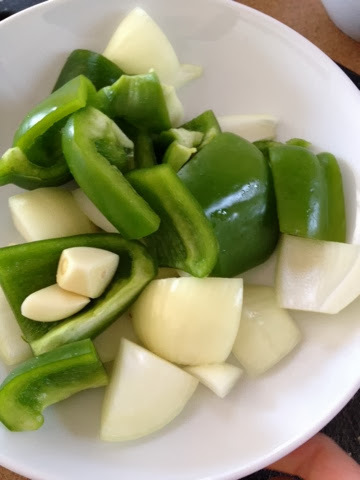 Coarsely chop a green pepper, onion, and a few cloves of garlic. 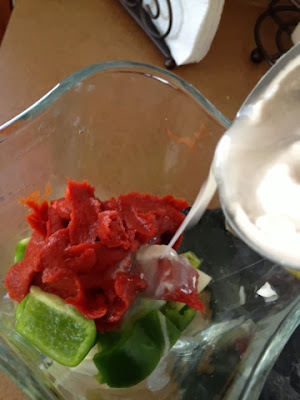 Don’t worry about dicing or mincing.. it’s all going to get blended! 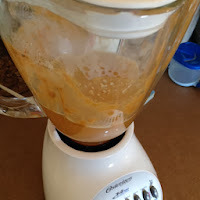 Throw the veggies into the blender or food processor, along with a can of tomato paste and coconut milk. Pour the sauce over diced chicken in your slow cooker. 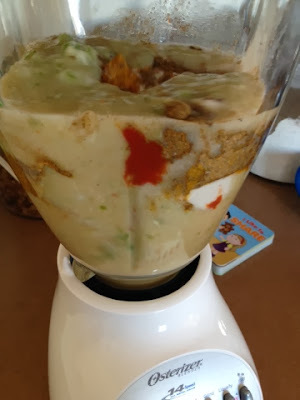 Give it all a stir, put the lid on, and turn it on low for 6 hours. Add a couple dried chiles for a little spice. About an hour before serving, you can add a tablespoon of cornstarch (mixed with about 2 tablespoons of water) for a thicker sauce. Serve over hot rice (we’re partial to jasmine… but then again, I have a 25lb bag of it on hand!). Garnish with a little chopped cilantro. And this meal is just not complete without Naan (Indian flatbread). 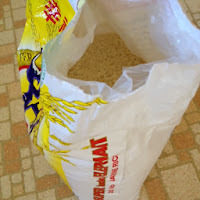 You can find flatbread at most local grocery stores, or stay tuned for my next post with the recipe for homemade Honey Whole Wheat Naan!I can’t take credit for this recipe… Click HERE for the printable recipe from saltandpaprika. 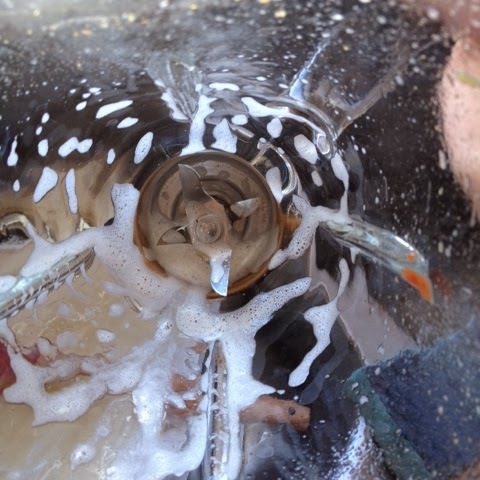 Quick cleaning tip… (Why did I not learn this until recently?!) Immediately after using the blender, fill with water and a little dish soap, turn on and blender (with the lid on!!! ), and whadyaknow… almost all of the work is done for you. You’re welcome. This looks delicious! I have curry powder- but next time I order groceries- I will definitely look back at this and get what I need to try the recipe! I LOVE curry. 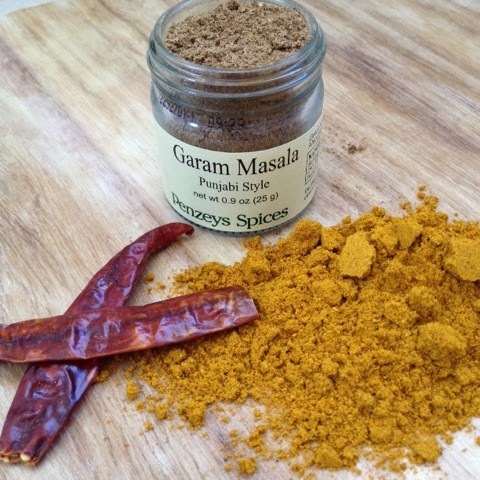 Do you have a curry recipe that you love and would be willing to share? I’d like to branch out and try something new. Oh and just out of curiosity… how often do you get to order groceries? ?